Arizona’s second-largest city, Tucson boasts rich cultural traditions, artistic flair and sunny weather befitting its outdoorsy populace. The city’s Hispanic heritage finds expression within historic districts sprinkled with evocative landmarks and adobe homes. Just outside the city, a web of hiking and biking trails crisscross diverse landscapes. Located on Interstate 10 at the heart of the Sonoran Desert, Tucson is surrounded by five mountain ranges and flanked by the two units of Saguaro National Park. The city’s lofty 2,410-foot elevation garners a drier and relatively milder climate than Phoenix, which lies just over 100 miles north. Temperatures in July and August frequently near 100 degrees, while the January low is 42 degrees. A 90-minute drive from downtown, Mount Lemmon is the highest mountain peak in the Santa Catalina Mountains and is blanketed with an average of 175 inches of snow during the ski season (from late December through April). At Saguaro National Park, myriad hiking trails lead through the Sonoran Desert, the only place where Saguaro cacti grow naturally. 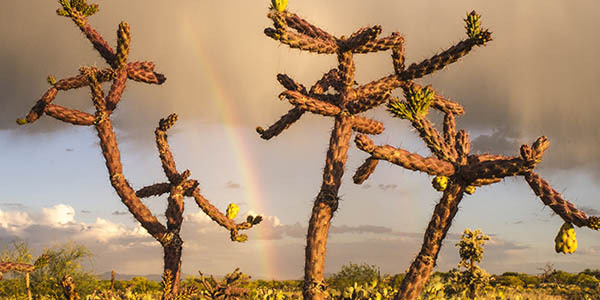 The park’s western unit draws most visitors to its arresting stands of noble saguaros. At the base of the rugged Rincon Mountains, the park’s east section is generally the preserve for more adventurous hikers. Tucson is also the launchpad for the nonmotorized 800-mile Arizona National Scenic Trail, which spans the whole state and showcases the state’s multiplicity of landscapes and historic and cultural sites. 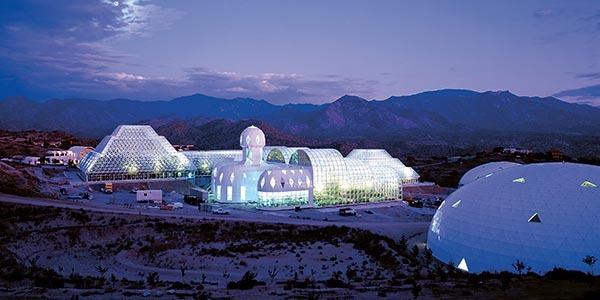 More adventures await on the fringes of town: Both AZ Zipline Adventures sends visitors soaring across the desert, while Biosphere 2 is an ecological experiment involving natural and human-made environments. The Tucson area is a hot spot for keen ornithologists. The best birding area is the man-made Sweetwater Wetlands Park, with short trails and viewing platforms. About 35 minutes from downtown, Colossal Cave Mountain Park contains one of the largest dry caves in the world and features a breathtaking display of stalactites, stalagmites and helictites.